Located just a 7-minute drive away from the Delhi International Airport, JW Marriott Hotel New Delhi Aerocity features a full-service spa, 5 food and beverage outlets and an outdoor swimming pool. The well-appointed air-conditioned rooms here will provide you with a flat-screen satellite TV, seating area and a minibar. There is also an electric kettle and an attached bathroom. 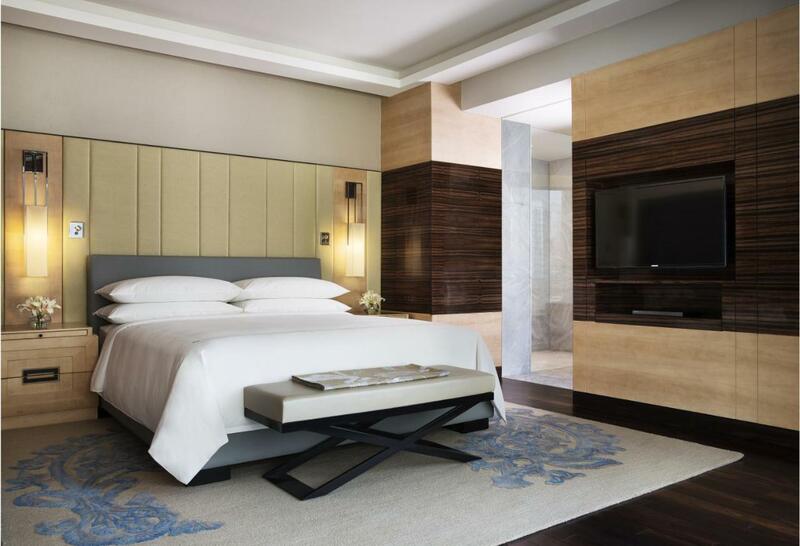 At JW Marriott Hotel New Delhi Aerocity you will find a fitness centre and 24-hour front desk. It boasts of 24,000 square feet of flexible event and meeting room space. The Aerocity metro station is barely 200 metres from the property. The New Delhi Railway Station is 18.5 km and Hazrat Nizamuddin Railway Station is 22.7 km. Dining options include Akira Back that serves Japanese cuisine with a Korean essence while a variety of cakes, bread and pastries can be relished at Delhi Baking Company, the Bakery Shop. Guests can enjoy multi-cuisine delights at the all-day-dining restaurant K3 while alcoholic and non-alcoholic beverages are served at Oval Bar and JW Lounge. 24-hour room service is available. Guests are required to show a photo identification upon check-in. For Indian nationals, this means a Driving license, Aadhar Card or any Government approved ID. PAN cards are not accepted. All foreign nationals are required to provide a valid passport and visa. Please note that the hotel will charge the credit card with a pre-authorization amount of INR 10. This amount will be adjusted against the final bill. All further older children or adults are charged INR 2180 per night for extra beds.